Insurance Fix It is an insurance solution service, offering their clients a vast amount of information on the insurance industry and an opportunity for them to lower their insurance costs. 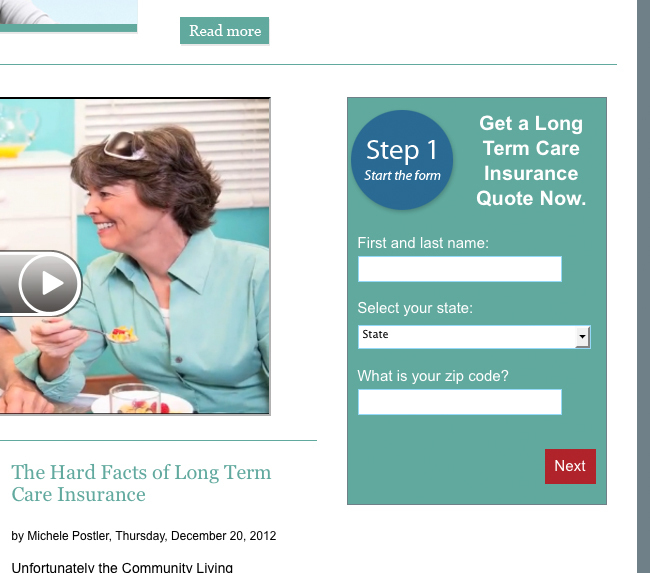 They cover a broad spectrum of insurance types, from long term care, auto, disability, health, business, home, and more. Since the 1990's, they have offered individuals a huge amount of service in improving both their insurance knowledge and expenses. 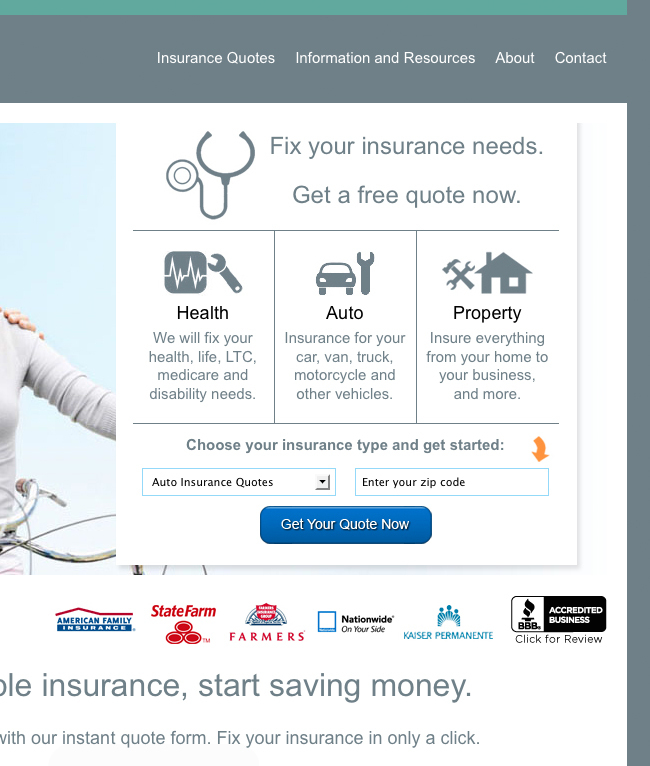 I developed a WordPress based site for Insurance Fix It. Visually, I focused on a professional, trustworthy design with a focus on giving it a clean and forward-looking approach to the insurance industry. 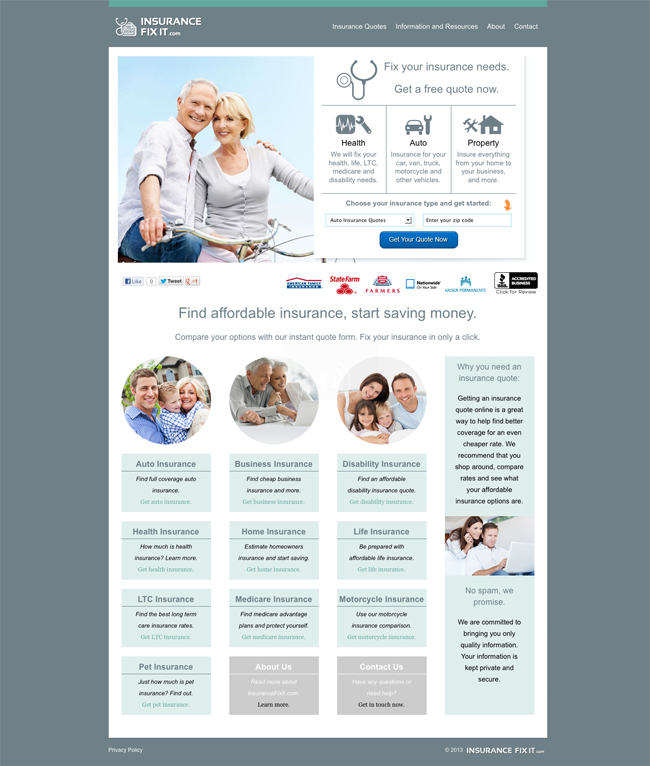 The front page incorporates an image slider in the header, a very advanced insurance quote form, and links to the different insurance hubs across the site. 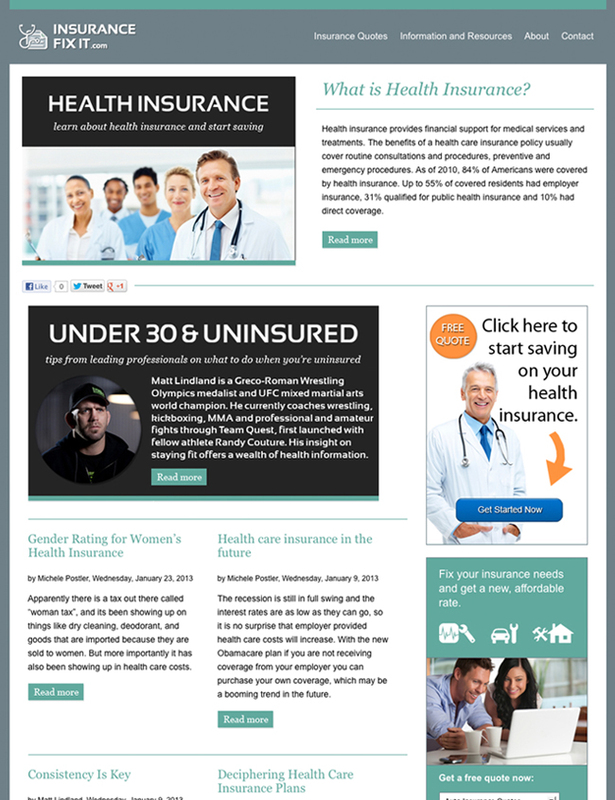 Each insurance type has its own hub that provides a place for detailed information on that specific insurance type, blog entries related to it, and a quote form geared towards users looking for that exact insurance. 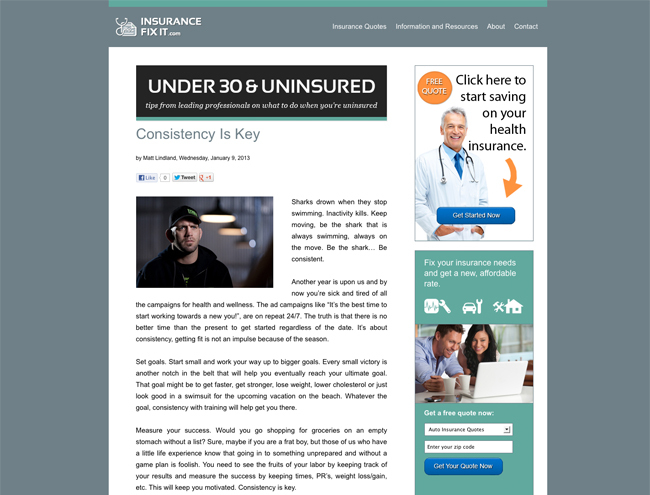 Some of the hubs have unique features, such as videos, highlighted article campaigns, and so on. There are multiple quote forms throughout the website. 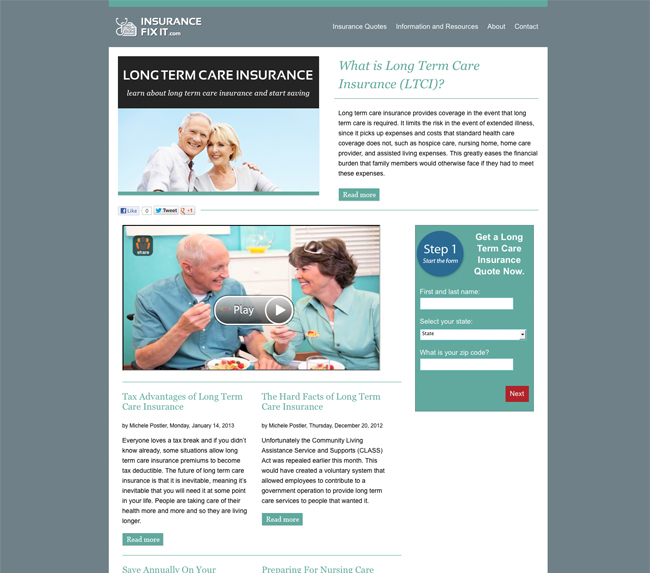 The long term care and disability quote forms use a step-by-step set up that takes users through different questions in steps. Other insurance types offer instant insurance quotes after a site visitor enters their zip code. 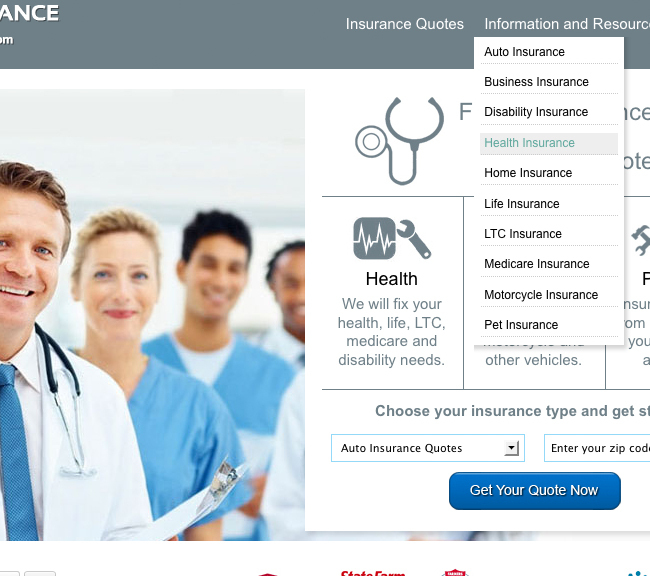 In addition, all of the site content is carefully organized by insurance type, insurance quote, and all in an information structure that is highly optimized for quick access and cleanly put together for SEO purposes. 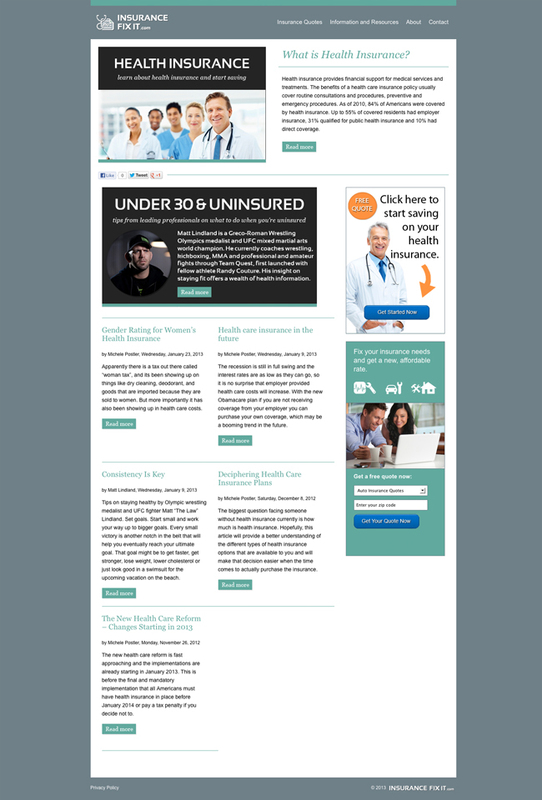 I oversaw all of the content creation, as well as studied the insurance industry and carefully planned out all of the blog topics and information on the site. I also managed the writers, and contacted celebrity guest contributors. I helped put together an insurance campaign with the BBB, to further help Insurance Fix It reach a vast amount of clients. I also worked on all of the link building for the site.